On April 3rd the first of a series of CareMap workshops commenced in Santa Barbara. 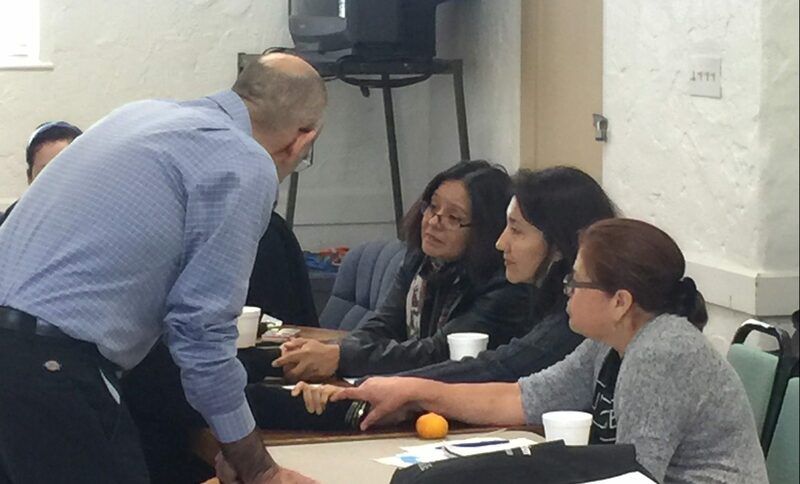 The initial workshops were hosted by Family Services Agency (FSA) and supported by the Santa Barbara Foundation. In attendance were social workers, therapists, consumers, and FSA board members – all of them in one way or another were caregivers and receivers. Without having had the full experience of drawing and reflecting upon their own CareMap yet, people were initially a bit weary, even disbelieving of the impact a CareMap might have on people’s caregiving activities. After drawing and reflecting on their drawings, however, every single person seemed struck by the value of the exercise and many were surprised by what their drawings revealed about their family dynamics or current situation. One woman came in thinking she was going to draw a CareMap around her mother, but as she drew the CareMap she realized that she had also been taking care of her husband with cancer. Another woman saw clearly how she cared for many but had little self-care. And another realized how precarious her family’s current situation truly was, where should one of her parents’ decline in health she would need to make some serious life changes. The impact of caregiving fades into the background for most people. The CareMap helps to illuminate the reality of caregiving in a way that honors each family’s special dynamic, values, beliefs, traditions, and culture. Separating caregiving as a complete activity to be considered is made more difficult because caregiving activities tend to be fragmented, spread throughout the day and weeks. As an example, see the data collected from Atlas’ pilot last year. Reflections on the CareMaps brought lots of emotion into the room. The CareMaps developed a space for people to share their stories and receive empathy from listeners. People’s CareMap delivered sobering moments. Using the CareMap as a base visualization to see where things need to changed or planned for. People saw that the CareMap includes self-care. Recognizing more fully the positives and negatives of one’s situation. Reframing the issues so that one is empowered to change things.